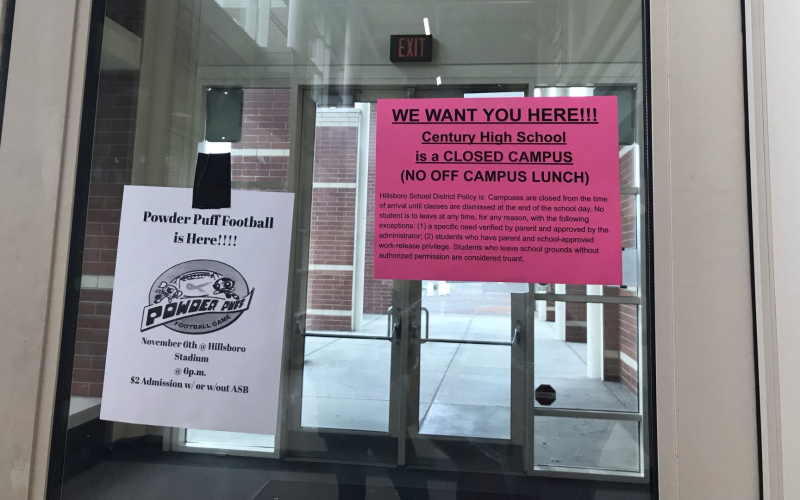 Century High School is a closed campus, and the students are split on whether they find this policy to be acceptable. Supporters of the closed campus policy argue that if the rules are not in place, Century would be exposed to safety issues, potentially putting our students in danger. Accidents are due to happen if open campus is allowed, whether it is on the road or if it is a student fight. Following up with accidents, if they do happen; this leaves room for the school to get sued and blamed because they are in charge of the student’s safety once school starts. If everyone is leaving in their car to go get some food or do something on their own time, the roads would be stuck in traffic. It’ll take lots of time for the students to go somewhere, and to also get back since most students would be coming back at a specified time to go to class. This goes onto car accidents (caused by students), as it can injure people and can make students late. Not only does it hurt their academics, but it also damage to the car and if needed, medical fees. Age has a part to play in this too. High school students, usually at the age of 17+ are young starting drivers and this endangers themselves and the students. Open campus does leave a good impression nevertheless. Open campus leaves lots of room for many food options, people who were not able to make their own lunch, and to be able to get things they may have forgotten at home; which can include homework, food, and money. Food options provided at school are at times food the students dislike or can not eat. This includes food allergies, diets, or just taste in general. Being the opposite of Century High School, Lincoln High School located in Portland, is a open campus. For 35 minutes, students are allowed to go off campus for lunch.